Capable of bagging at speeds up to 55 bags per minute, this automatic bagger has been designed for wide bag applications where large parts, kits, catalogs and manuals can be efficiently packaged and sealed in poly bags up to 16 inches wide by 26 inches long. 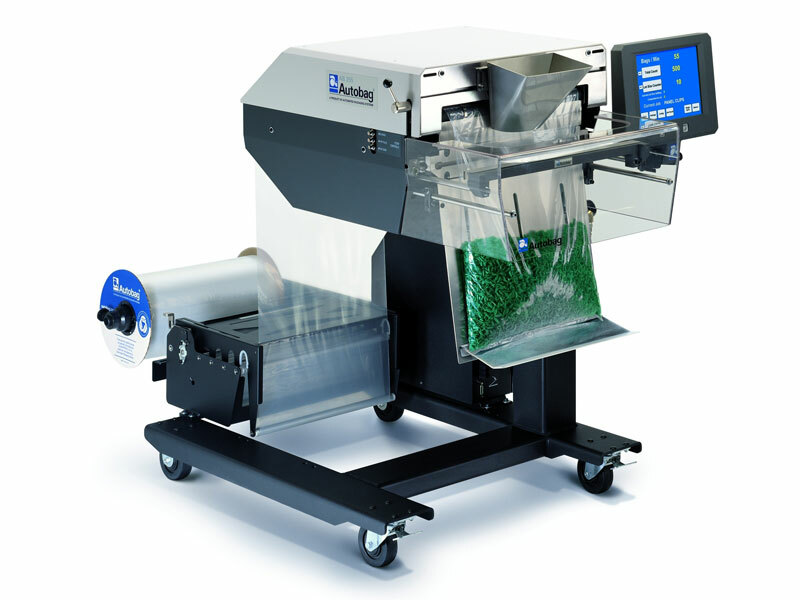 Package size changes can be achieved in less than 2 minutes using Autobag pre-opened bags-on-a-roll. Utilizing the very latest technology, modular E-box and valve packs, and the most advanced user touchscreen control available, the AB 255 Wide Bagger is among the most reliable and productive automatic bagging systems available. W 4 to 16 in. L 5 to 26 in.